New Directions Publishing Corporation, 9780811226240, 160pp. The Fox and Dr. Shimamura toothsomely encompasses Japan and Europe, memory and actuality, fox-possession myths and psychiatric mythmaking. The novel begins near the story's end, in Dr. Shimamura's retirement. A feverish invalid, he's watched over by four women: his wife, his mother, his mother-in- law, and a nurse (originally one of his psychiatric patients). His mother is busily writing and rewriting his biography, Between Genius and Madness. As an outstanding young Japanese medical student at the end of the nineteenth century, Dr. Shimamura is sent--to his dismay--to the provinces: he is asked to cure scores of young women of an epidemic of fox possession. He considers the assignment a joke, believing it's all a hoax, until he sees a fox moving under the skin of a beauty. He comes to believe not just in fox possession, but also that he in fact "cured" the young woman with a kiss, by breathing in the fox demon (the root of his lifelong fever). Next he travels to Europe and works with such luminaries as Charcot, Breuer and (briefly) Freud himself (whose methods he concludes are incompatible with Japanese politeness). 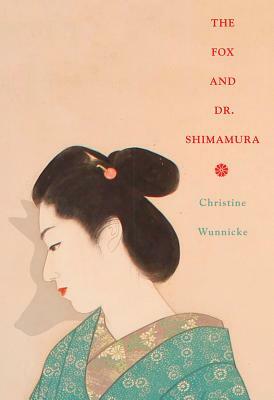 The ironic parallels between Charcot's hack theories of female "hysteria" and Japanese ancient folklore--when it comes to beautiful writhing young women--are handled with a lightly sardonic touch by Christine Wunnicke, whose flavor-packed language is a delight.